This was a really outstanding joint post. The work started on slack and then everyone pitched in equally to bring it to fruition. It was a real pleasure being a small part of this post. My congratulations go out to the rest of the nominated posts and authors as well. The quality of writing was outstanding in them all. This type of dedication is what makes the Firebird a special ship. Thank you! I enjoyed the argument between the Cardassian, especially the way they both heard the call of war but had different responses to it. The storm was a nice eerie backdrop. It made me want for us to race the Firebird out there to stop them ASAP! Nominated by Lieutenant Commander Ina Nici	 Injured during the Maquis attack of the Firebird in the Badlands. Nominated by Lieutenant Commander Ina Nici	 For Work in "A Father's Pride"
Nominated by Lieutenant Commander Ina Nici	 "This post was the culmination of a lot of work. It is difficult to write a joint JP with so many characters and also involved combat. It also is unique because it brought two separate stories, Yumi's and Smith/ Soto/ Kipp, together. The award is well deserved." "Eye of the Storm 4: ...Out! was an awesome thrillride. Cool setting, great action scene, spot-on dialog. Very exciting and I loved it. There were so many great posts this time it was hard to pick, but this one earned my POW vote." "I thought Jackson was excellent in Eye of the Storm 4. His fight scene was well executed and he showed tremendous fight against a superior opponent. Way to battle!" Nominated by Lieutenant Commander Ina Nici	 "For maintaining quality storytelling while keeping a crew stay through a hard month." "For doing such an outstanding job running the sim! Thank you for all your hard work to create an enjoyable experience for so many people! We really appreciate it!" "A wonderful NPC that has been extremely useful to break the intense moments with all of the subtlety of Rowin Atkinson. He can take about any intense scene to one that feels less stressful and sometimes just plain outright awkward. I look forward to many more Kipp posts." "Kipp is the most fantastic NPC--after Emily Mox, of course. He's a fully developed character who doesn't bring his own drama to the ship the way we PCs love to do, lol." Nominated by Lieutenant Commander Ina Nici	 "Honor the Fallen was an awesome post with lots of great interaction from many characters. Nice job, all!" "Honor the Fallen. This was a nice post to see how each person dealt with the death of one of their own. It showed a lot about each individual character." "Honor the Fallen. A touching post with lots of brushes of character from everyone. " "I feel that this post displays the very heart of Firebird. The coming together of a disparate group of entities to mourn the loss of a member. The connections that have grown between characters reflecting the connections between the players. If it is necessary to choose one person for the award, then I choose Luka who in her character has taken on the joys and sufferings of the crew in a singular person. As the Linguist she bridges the gaps between characters and gives the ship a central focus." I'd like to add a little to this as well. I went and re-read this JP and it really has an emotional impact. The fact that the NPC who died was really an unknown before his death, makes it all the more powerful. Everyone added their part to the JP and it is incredibly emotional. I thank all of you for your efforts on this post. It really does represent each of us and the Firebird well. Nominated by Captain Malcom Llwyedd	 For six months of outstanding service to the Firebird. "Rough Landing was a culmination of Jackson's story. Finally becoming a full fledged member of the crew and almost not having to keep any secrets from the rest of the crew. As his new job might give him some new ones to keep." "Rough Landing was a really compelling piece of work and Jackson has a super interesting thing going on with his character history." "A Rough Landing Loved it. The suspense. The Twist. Really good work." "Assault on Isengard [CD] was an awesome post--I loved it! Everyone involved deserves a standing ovation." "Desai's idea for this post was inspired. A very original concept that gave tons of players a chance to flex their creativity and interact in humorous ways. We all had a blast writing it." "The creativity of the JP, the flow from writer to writer and the laughs are enough to deserve a spot. Well done to all involved." "We all need to be reminded that character development posts are very important. They allow writers to flex their creative muscles and have fun doing things their characters otherwise wouldn't be able to do. Kudos to Desai and all involved with this JP for making it fun for ALL of us." 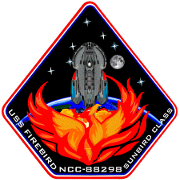 Nominated by Lieutenant Commander Yumi Han	 For one year of outstanding service to the Firebird. Nominated by Lieutenant Commander Yumi Han	 Mission 2 finale: The Battle of Suylea. "I would like to nominate the ‘Do No Harm’ series of posts. They were really a joy to read, highlighting each and every writer and their respective characters. I thought the interactions were wonderfully written to tell a great story." "For all the writers in Do No Harm, for the human way they approached the tense and terrifying reality that turned the Monterey's crew into a science lab. This was the heart of Mission 2 and they nailed it. All the combat would have been half as meaningful without the desire to save those people." "Do No Harm. There were a lot of great JPs at the end of Mission 2, but none brought as many authors together as smoothly and with as much impact as "Do No Harm." Desai plotted the whole JP out very well with opportunities that all 7 writers contributed uniquely to. I felt like each character's personality stood out well from the others, which is hard to do when they're all in the same room. Each scene was smart and memorable in its own way and the built together to the ending we've all been working toward when they woke up the first member of the captive crew." "The Do No Harm series is my selection for Outstanding Post. In every story, there is a climax. The point where all of the things that have come before come to fruition. The point where the marine enters the laboratory in Do No Harm, is that moment. It hammers home the reality of what the crew of the Monterey has suffered for twenty years. It raises the stakes. All of the descriptions were elegantly written and each writer was crucial to the story flowing forward. Kudos!" "I would like to nominate the Captain for this award for his portrayal of Jack Cunningham the Marine CO. His writing has inspired me to branch out the persona of Robert Schiano and make him more of a believable person. I appreciate that in more ways than one. I also feel that anytime a writer can inspire another they should be recognized." "This scenario has required an extensive amount of planning and work. He has been writing a lot of characters and has done a lot to keep this fun and engaging mission going!" "The comedic value Potter brings to the table continues with his pod. The combo of Potter, Lopt, and Kaya is providing not only a fun adventure, but putting several of the comedic relief characters together adds that much more to it. I'm particularly a fan of the interaction between Potter and Lopt in this post. Well done." "Kipp Lak stayed in character yet managed to add in something new without retconning." 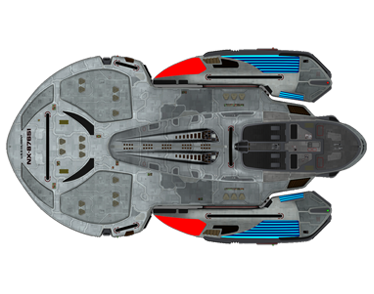 "It's a pleasure to read the Marine professionalism and no-nonesense attitude while still keeping to Starfleet values and not killing people just because. Cunningham is a perfect Marine and I'm looking forward to reading more of him. I think this mission is actually great for developing such a character."